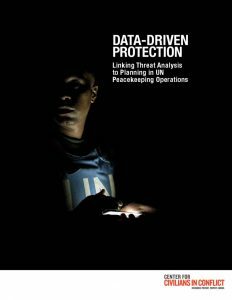 Data-Driven Protection: Linking Threat Analysis to Planning in UN Peacekeeping Operations examines the challenges and gaps that UN peacekeeping operations in South Sudan and the Democratic Republic of Congo (DRC) face when conducting threat analysis and using it as the basis of integrated Mission action. 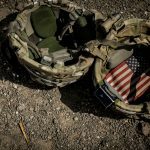 The report reviews how information is collected, stored, shared, analyzed, and used by decision-makers to inform actions, ranging from patrolling to longer-term strategic planning. Few things are more important to a peacekeeping mission than its ability to maintain a strong understanding of its operating environment and the threats that civilians face. 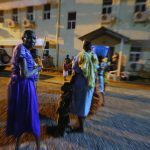 Having a clear and comprehensive picture of threats enables peacekeeping missions to achieve their mandated goals, including the protection of civilians. 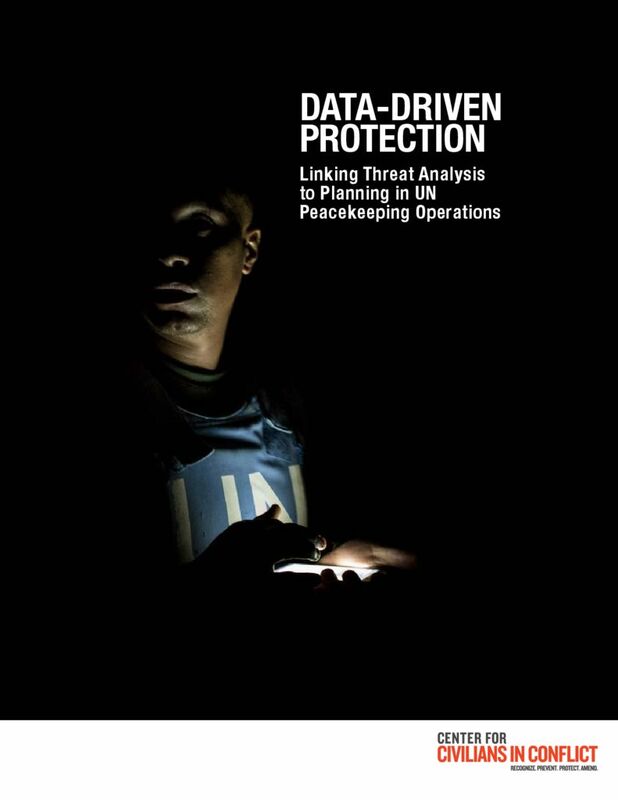 The peacekeeping Missions in South Sudan (UNMISS) and DRC (MONUSCO) are working toward improvements in their data-management, analysis, and planning processes, but do not yet have adequate systems in place to store data on threats from all sections in order to generate integrated threat analysis, inform planning, and influence decisions. 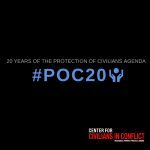 Lauren is the Sr. Peacekeeping Researcher for CIVIC. She has four years of experience in refugee resettlement in Africa, where she was deployed to UNHCR offices throughout the continent to interview civilians fleeing conflict. Lauren has worked as a researcher for the World Peace Foundation, Conflict Dynamics International, the International Committee of the Red Cross, and the Humanitarian Evidence Program at the Feinstein International Center.